India came in to the series after a drubbing in England but were still the favourites. The talks of ageing players on their last legs was more an Australian worry than India’s. A month in to the series, it is the story of a 40 year old Brad Hogg making a come back in to the national reckoning that is doing the rounds and not that of the other old guns having to hang up their boots. It is the turn of the India’s older batting superstars to face the heat. And in all probability it should be the last time we see them all together. It is strange but also true that much of India’s great success in the past decade was largely due to the determination and collective efforts of a group of dedicated and proud cricketers. While the administrators were busy marketing one-day cricket and later T20 cricket, the selectors seemed more interested in looking after themselves than Indian cricket. In the process, though selection has become a paid job, it is but fair to conclude that it is the players who put the Indian cricket on a pedestal. And now, with the last bunch of those from the great generation on creaky legs and wonky backs, neither the administrators nor the selectors seem to have an answer to India’s problems. While it is true that India perhaps picked its strongest squad for this series, much of India’s success overseas had to do with its batsmen being able to put up strong scores on the board. Taking 20 wickets was never India’s strongest suit and it needed the big scores to give itself a chance. And it is remarkable as to how they put themselves on top of the world with an average bowling unit at best. The islanders down south have taken their first steps to clean up their mess by sacking their coach and appointing a new captain. They have revamped their selection committee. India seems to be bullish about its slump and fails to acknowledge its shortcomings. It is blatantly obvious that India has failed to groom its youngsters for the future. Neither the administrators seem bothered nor the selectors. That India will not look to the future in Adelaide is a resounding slap on the all faces of those who care for its cricket. Adelaide is a no win situation for India with neither the selectors nor the stand-in captain showing any inclination for the need to change. The strength of this side has been its seniors for a decade now. It now seems as though even the selectors seem reluctant to do anything to upset them. Or that they are simply not bothered. It is painful and disrespectful for the ones who care about Indian cricket that the ones that run it seem not bothered about its future. 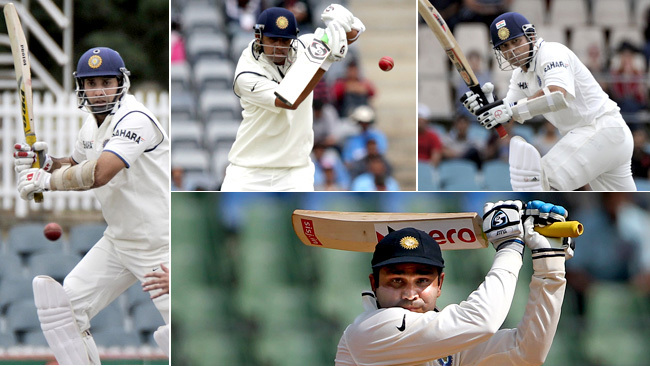 Irrespective of what transpires at Adelaide, India cannot have the same set of players representing it going forward. A transformation needs to take place between now and in two years’ time, when India set foot off their shores for challenges abroad, a new team, settled and well oiled with Test match cricket over two years should represent it. How India chooses to rebuild will determine how serious it is about its cricket image. It might have to be the players again who lead the change. And once again, it might be a senior who makes it easy on the selectors by announcing his retirement at the end of this Test. There’s more to lose in Adelaide than just the Test. Hey, love the tone now.